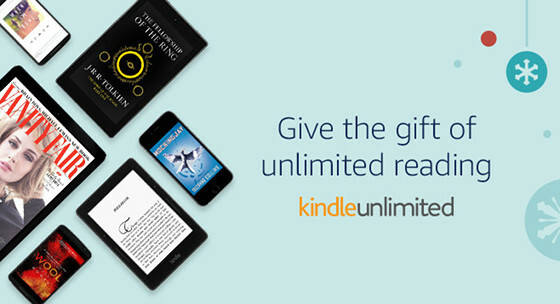 Amazon has a new limited time offer where they are giving away a 6 month subscription to Kindle Unlimited for free with the purchase of a Kindle Paperwhite. Oddly they don’t appear to be advertising the deal anywhere and there’s not a specific landing page about it, but there’s a note about the bundle deal below the main picture on the product page for the Kindle Paperwhite. To take advantage of the deal you just have to hit the “add both to cart” button. The fine print indicates the promotion is valid through June 23rd, so until the end of this week. Kindle Unlimited normally costs $9.99 per month so getting 6 months for free is a savings of $59.94, about three times as much as a typical Kindle sale—not bad. As you may know, Kindle Unlimited is Amazon’s ebook subscription service that provides instant access to over 1 million ebooks and thousands of audiobooks, along with popular magazines. Big publishers still aren’t onboard with offering their ebooks through Kindle Unlimited, but there are still a lot of popular titles available, and I always thought the idea of getting an ebook reader with unlimited access to a massive library of ebooks that you can download anytime without paying for them individually is a cool concept. I used to say that all Kindles should come with 1 month of Kindle Unlimited for free to get a feel for it, and 6 months is even better. This deal is only available for the Paperwhite, however.